Smaller dome found within St. Basil's Cathedral. 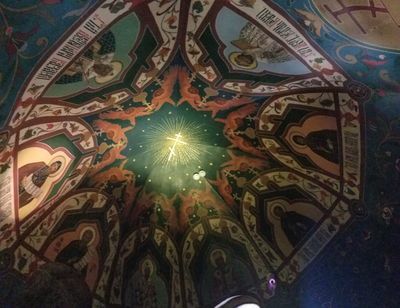 Foley, Erin G., "Ceiling of smaller dome within St. Basil's" (2018). Fulbright Repository: Russia 2018 Images. 10.